Hand-made pottery and lessons. Wolfville, Nova Scotia: Are you still there???? But as it turns out, I have actually been making pots and art pieces in what has been a very exciting few months on many fronts for me. Where to start? I'm really excited about my current line of functional pottery. The forms appear deceptively simple. They are thrown on the wheel, with very little embellishment, except for the etched pieces, a process that is all about removing clay rather than adding to it. The pieces have an earthy feel, that I have been striving to achieve. 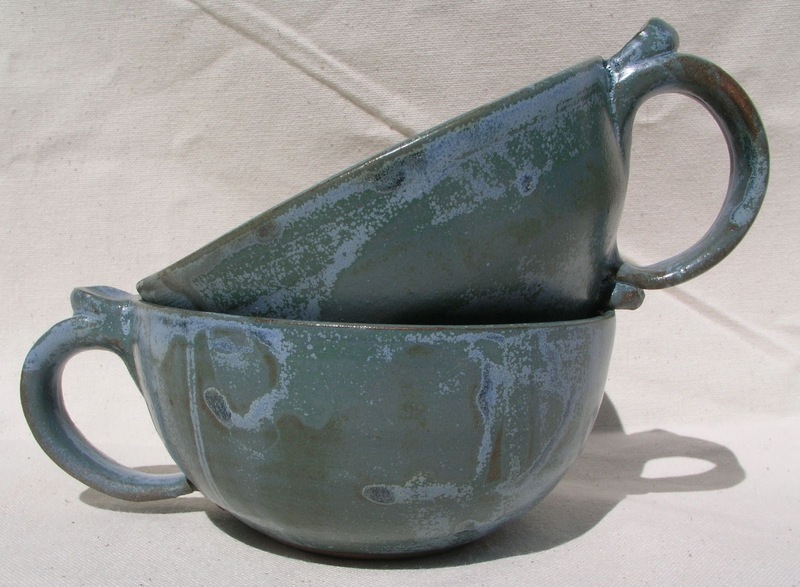 The darker clay bodies and glaze contribute significantly to this effect. 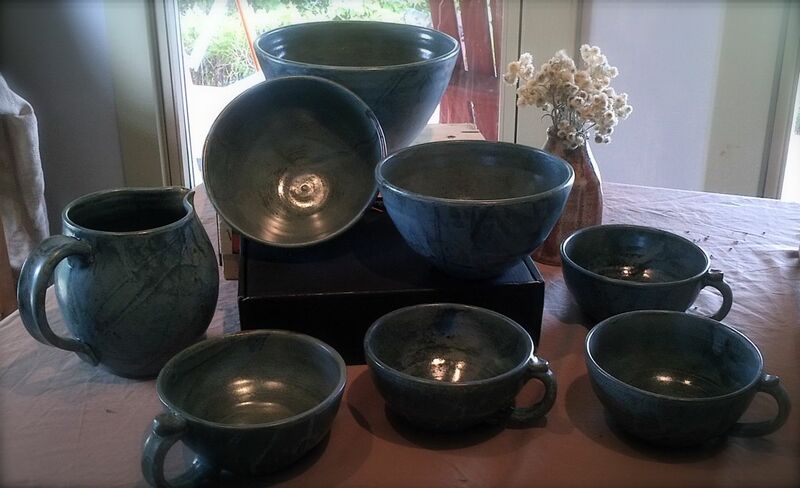 The matte glazes give the work, which is fired in an electric kiln, an appearance closer to wood fired pottery. Perhaps best of all is that I think these new pieces are the most versatile functional work in my collection to date. New collection of functional pieces in blue glaze. morning cappuccino, fresh fruit and yogurt, soup, casserole and so much more. 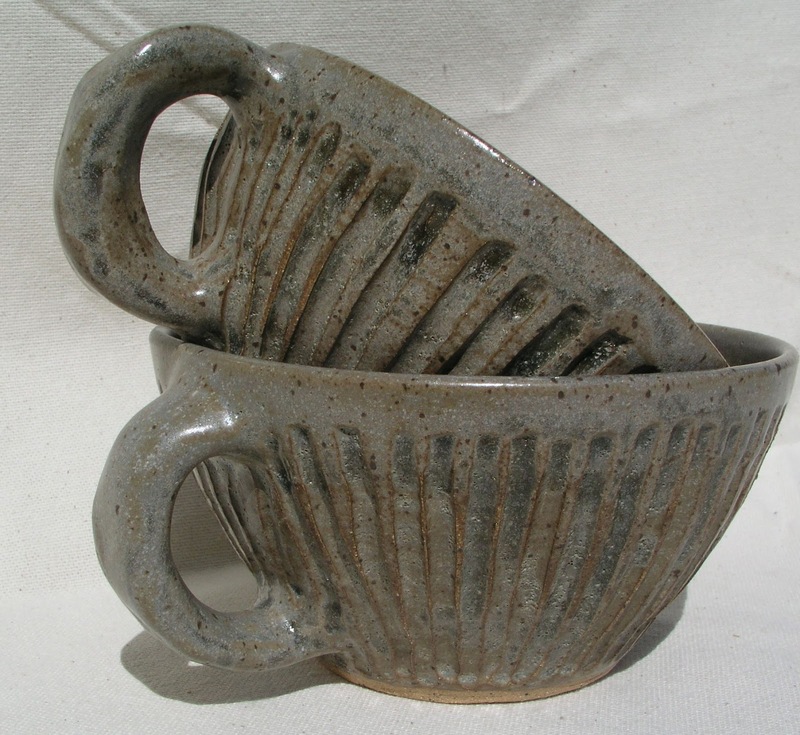 Cappu-Soup Bowls in brown with etching. The push to complete these pieces was facilitated by the first annual Art Festival Wolfville; part of the Mud Creek festivities in Wolfville, Nova Scotia and coinciding with Tastes of the Valley (a spectacular annual culinary event). 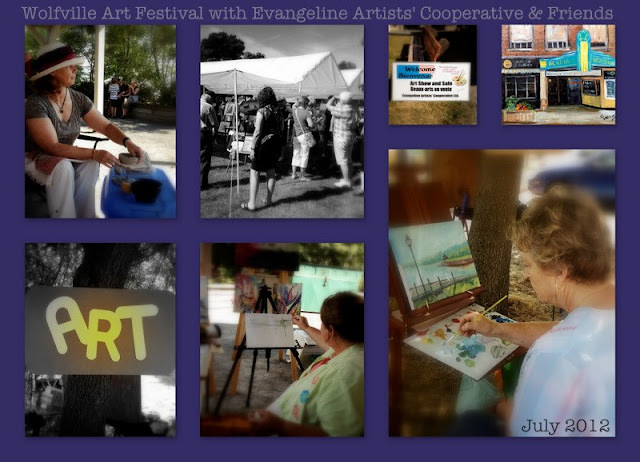 It was a perfect summer day for an outdoor art festival and those involved (myself included) are planning/plotting to make it an even better event next year. So if you missed it this year, you're not completely out of luck, but you will have to wait a while. 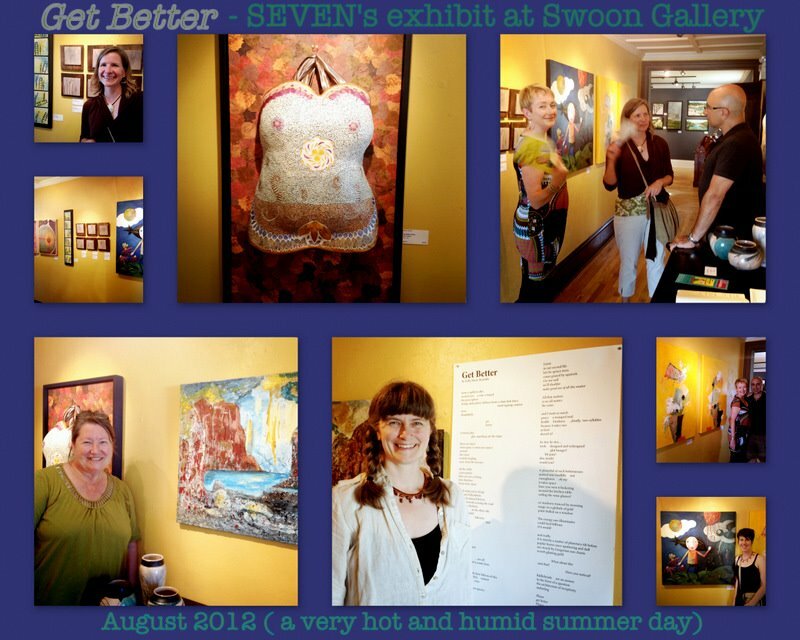 Not enough has been said to date about my first year as the newest member of the artist collective, Seven. 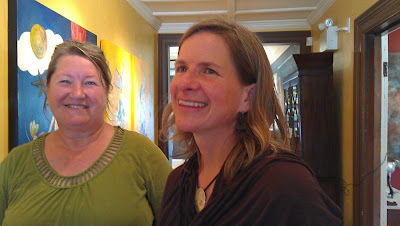 Seven is a collective of multi-disciplined artists from rural Nova Scotia. Do check out the link! The first part of the year we spent playing with two different projects that had us collaborating and inspiring each other in an artist version of the telephone game. It was a fun way for me to get to know everyone in new ways and it resulted in several sessions of deep belly laughter. Halfway through the year we decided it was time to get a bit more serious again about making art. On a dark and stormy winter night (I'm not making this up), we got down to business and came up with a theme that resonated with all of us. Kelly Marie Redcliffe, the poet in Seven, went away with two words, "Get Better", which would be the theme of our next collective body of work. Kelly Marie came back to us two months later with the poem, that would inspire our pieces. 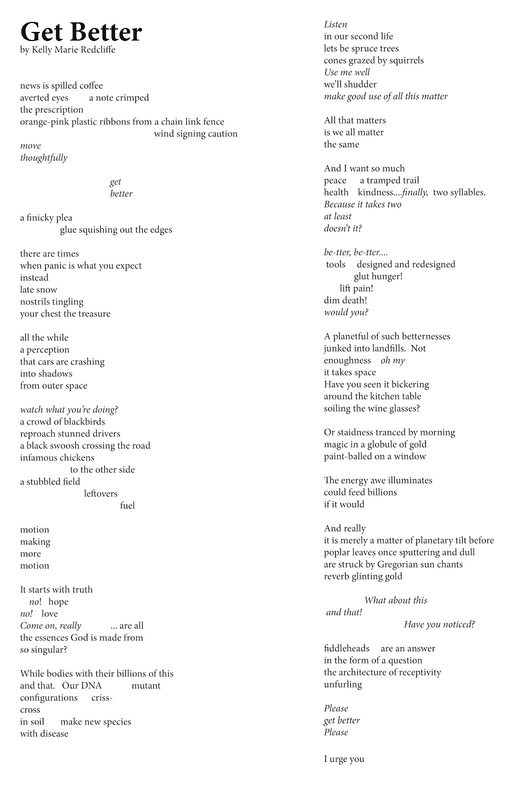 I'll confess to you, that I find the poem is so incredibly visually evocative that it had my creative juices running in several different directions. Some of these are still just in my mind, but several others were followed to some point of execution, terminating at a node that left me feeling I could "get better". I'm happy about the seven pieces (pure coincidence... or is it?) that I have submitted to the show. And I'm excited about the river of creative inspiration that has been revealed. Some of those nodes are starting places, or picking up places for me. Get Better has been a huge process. 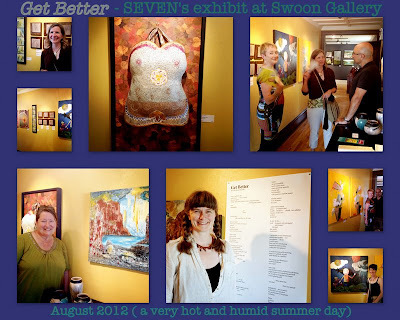 The show opened this past Saturday, a memorably hot and humid day at the Swoon Gallery. Swoon is a fantastically sophisticated and also whimsical gallery on the outskirts of Halifax, en route to what is definitively Nova Scotia's most iconic destination, Peggy's Cove. Sometimes I'm not sure where all the time goes... but a good lump of it has been dedicated to the two newest and youngest members of the domestic pack. I've been bonding with these two interesting beings (see previous post, but to bring you up to speed: one puppy became two). They are definitely "keeping things real" as they explore their world. It's fun to simply watch them and see things from a new perspective. The first few days at home. The first day in the studio with my new companions. 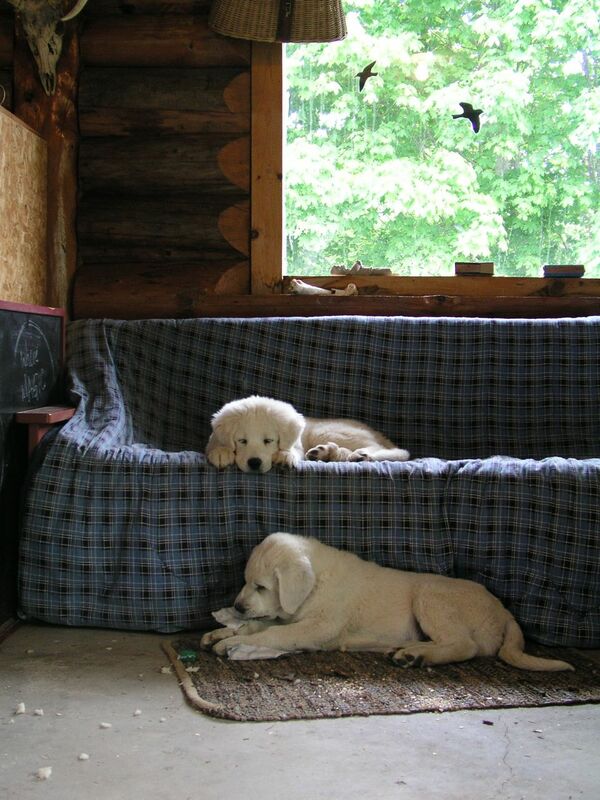 The pups are a good reminder of the cyclical nature of life. 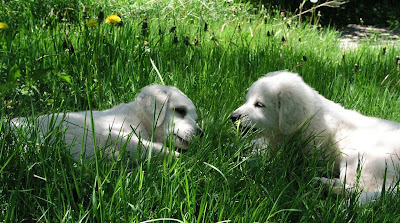 After a year of palliative care with my last canine companion, the exuberance of youth is lots of fun. I've noticed this cyclical pattern in my ceramic work too. I'm revisiting techniques that I've tried before and entertaining some whimsical inspirations like the platters that Duncan inspired.